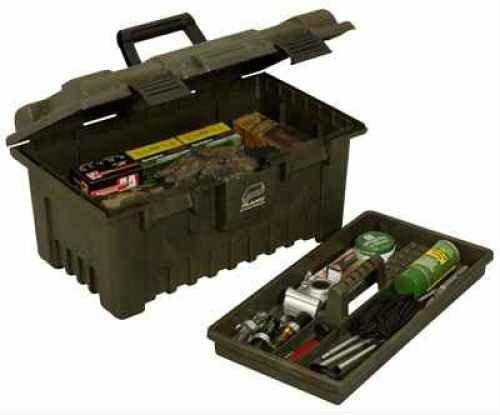 Made to the highest standard, the Plano AW 108191 is the ducks nuts of rifle cases with all the features you will ever need. At first glance the case is very visually attractive with a very sturdy solid polycarbonate finish that is ribbed for extra strength, your first thoughts when you pick it up are that it is indestructable. The next thing you will notice are the 6 strong dual stage locking latches of which 2 are key lockable at alternate ends. 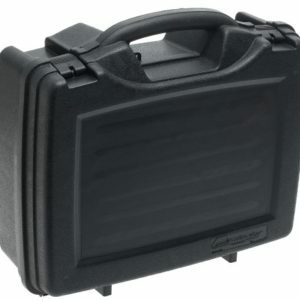 The full length seal keeps the case airtight meaning 100% protection from the elements is acheived. The hinges are also oversize and extremely strong, further reinforcing the integrity of the weather seal. The author personally uses this case for his expensive hunting rifles, and it is far superior to any other cases he has owned in the past. Inside you will find a high density pluckable foam inner that makes it easy to customise the shape of your rifle in the foam for superior hold and protection. 2 full length scoped hunting rifles fit nicely into the case with extra room on the ends for a few accessories. 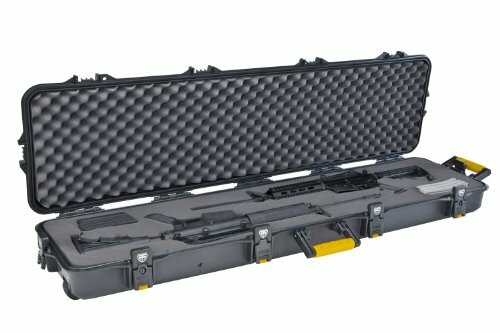 If you are after the ultimate travel or storage protection for your expensive firearms, look no further than the AW series…. I assure you you wont be disappointed.